While we’d pamper ourselves by heading to the salon for a much-needed therapy, it can also be really costly. Well ladies, the good news is that we can enjoy the same benefits to our skin and mental health without breaking the bank. Why not try these 3 simple steps to treat yourself to a cost-effective DIY facial using salon-grade products from Dermalogica? Begin with a clean and fresh base so that products you use later on will be absorbed to its maximum. If you are wearing make-up, use Precleanse to remove the last drop of make-up on your skin. 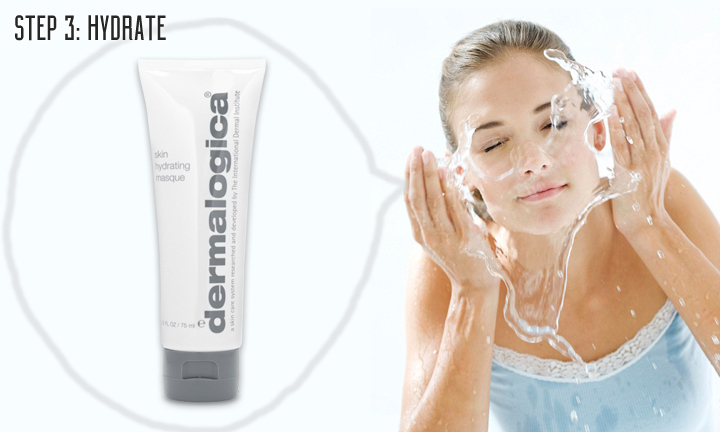 We highly recommend that you second-cleanse using a Dermalogica cleanser tailored for your skin. As we age, our skin’s natural exfoliation process slows down. An accumulated layer of dead skin cells prevents your skin from receiving nutrients delivered from skin care products. A good chemical exfoliant, such as Gentle Cream Exfoliant, removes dead skin cells to reveal younger skin cells without damaging your skin. Scrubs with rough grains in them can lacerate your skin, making it irritated and red. Unless you are absolutely sure how to select a good physical scrub, we suggest you stick with a chemical exfoliant. Regardless of your skin type, hydration for your skin is as important as water for plants. This step is essential to make your skin feel soft and supple again. It also reduces those hateful fine lines that appear with age. Apply a smooth layer of the Skin Hydrating Masque on your face (and neck too if you like!). Allow it to absorb for 10 minutes and rinse away. This DIY facial routine can be done up to 2 times weekly. The more disciplined you are in performing the routine, the greater the difference. The best part of it all, this is all only at a fraction of the price. Start your DIY facial routine this weekend! Stay tuned for more DIY facials targeted at treating your skin concerns.